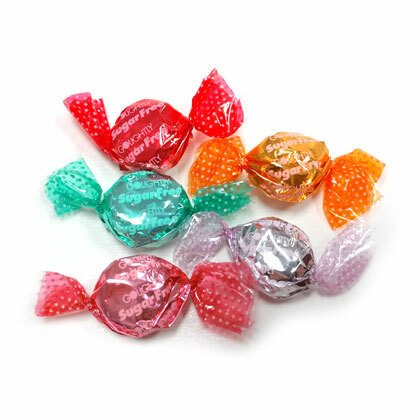 Sugar free hard candy in the classic assortment of cinnamon, butterscotch, mint, licorice and coffee. 10 ounce bag. Made with Splenda. Individually wrapped. Kosher and Gluten free. Approx. 7 pieces per ounce.